It seems ironic but it seems that it is a little more difficult to configure Windows Phone 7 and 7.5 to work with MS Lync that it is to configure an iPhone or an iPad. I like Windows Phone, I just think their apps need to be more polished. http://support.microsoft.com/kb/182569Adding a ZoneMap for he the server/domain name with the network share and give it the Value 0 (Zone 0 = My Computer) did it!There is no GUI dialog to to this (because per default, you cannot change the "My Computer" zone in the internet settings.=>a) Hack the registry to get GUI access to the "My Computer" zone in the Windows internet settings and add the domain with the network share to the "My Computer" zone.b) Directly hack the registry by adding the network share machine name as a key to the Domains key of the ZoneMap (HKCU\SOFTWARE\Microsoft\Windows\CurrentVersion\Internet Settings\ZoneMap\Domains\) and give it the DWORD value "file=0". This will return a list of access rules and you can examine them. I just want to make a little change to a page but publishing takes too long, what can i do? Well, there are several things you can do. Usually what I find is that their publishing takes too long because they need to upload a lot of data.. but why? The database is in Azure, so you don't have to upload it, and a asp.net web site is usually just some binaries and some text files? 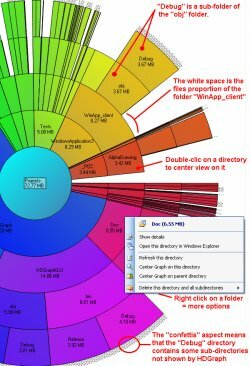 This tool provides a graphical representation of your hard drive allowing you easily identify which folders are the ones consuming most space. What I usually find is a lot of graphics (jpg, png, gif files), videos (flv, avi), presentations (.pptx) and PDFs files, that are part of the site. No wonder why uploading site changes takes so long. if you do that you are not really taking advantage of all the Azure platform features. Azure provides a massive storage mechanism and you should take advantage of it. Create a folder (well well a container) for example content in Azure and upload your files to that container. And now is time to set your CNAME record to point to your storage. 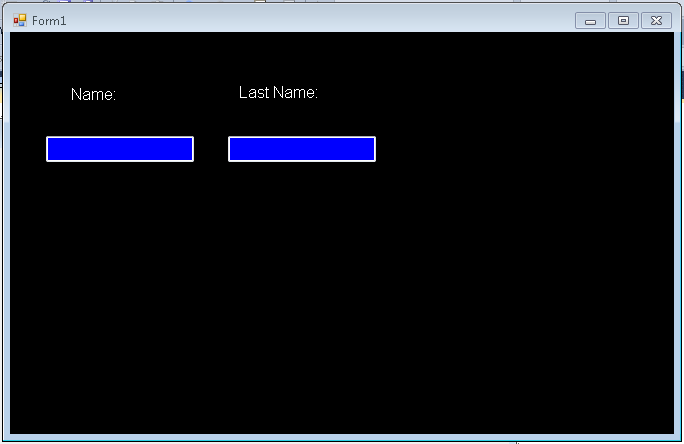 Normally it will be something like making A CNAME content or media point to mycutesite.blob.core.windows.net. I recommend reading Brandon Werner's excellent for very details quick intro to Windows Azure, from where I took this CNAME entries image. After a frustrating couple of hours trying to determine WHY WHY my object did not bind with MVC3 I finally found why. The story began like this. But!!! (maybe you already saw the obvious mistake) no matter what I sent, the Person object was not bind. I tried to debug the MVC code, but VS studio could not load the pdb, something I get that I still not sure why. So how could I intercept what was happening? Simple with a ModelBinder. A ModelBinder is class that is used to bind your request to a model object. So I went to the Global.asax file and register my binder, and set some breakpoints. I had to deal with problems because my json string got a lot of weird &quot; and other strange escape character. That in general is very good but I needed my string just as is. When I use SQLServer 2008 Express for my development tests, I always forget which things I have to do in order to make my SQL Server 2008 Express instance available to other machines over the networks. 2. In the SQL Server Configuration Manager Window, expand the tree on the left and expand the SQL Server Network configuration element on the tree. Make sure that at least TCP/IP protocol is enabled. 3. 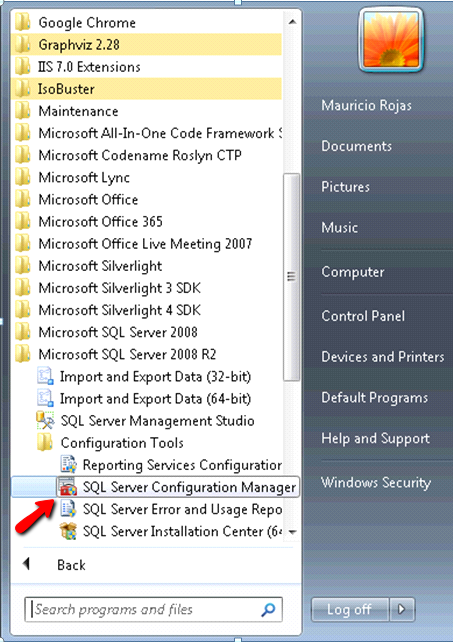 Now Click on the SQL Server Services element on the tree and make sure that the SQL Server Browser service is running. It is needed in order to make other computer able to see your server. Sometimes during migrations from VB6 to VS2010 we have found issues when you tried to add an ActiveX control with the VS2010 winforms designer. The issue is only present in VS2010 not on previous versions. You usually will see an error in the added Interop references, and messages like a missing VBA or StdLib library. The error has been reported several times so please vote on Connect to make sure MS will consider fixing it. And possible workarounds are running the Aximp manually from the command line and the add the references. You will then need to add the control by hand in your forms. 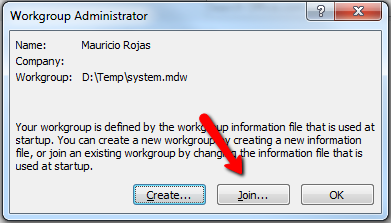 Do not use the designer to add the component, this will try to regenerate the references and reproduice the issue. I was in an AccessMigration to SQL Server and i needed to open an Access97 database with security (using a system.mdw file). It took me a while to do, but it is possible to open an Access97 Database in Access2010. 2. 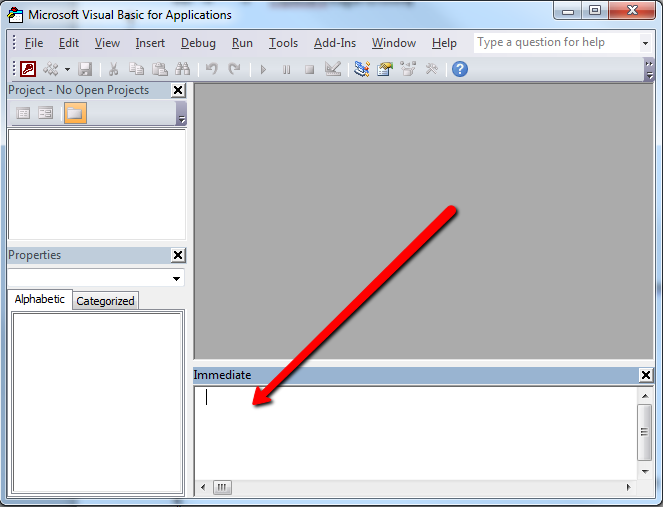 After Opening Access2010, press Ctrl + G. That will open the Microsoft Visual Basic for Applications window. 7. Open Windows explorer. 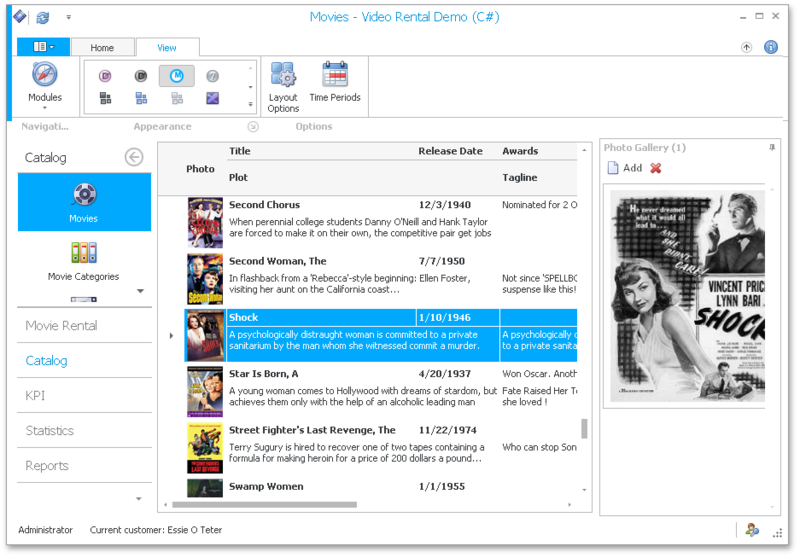 Find your .mdb file and double click it. 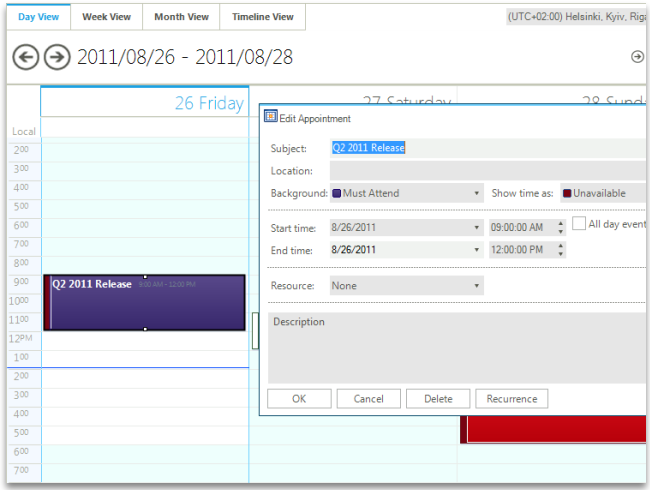 Access2010 will prompt for user/password and then will upgrade your database. Technology changes every day, and I consider that is part of my obligations as an Engineer to stay aware of the latest trends. Some companies even demand that you should have certifications to backup your experience. 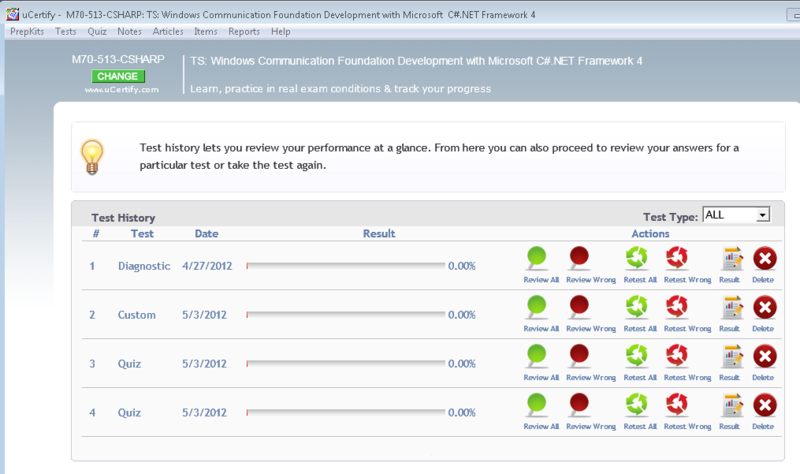 Is not the same to say that you know WCF, as showing that have a certification my MS indicating that you at least know all the basics of WCF. I have done some certifications in the past for MS and Sun (well now Oracle Java), and I want I have done is usually to research for documentation online or buy some books on the subjects of the certification exam. I have even bought guide books that prepare you for a certification test. Recently the people from uCertify approached me and they let me evaluate one of their Certification PrepKits (at least that’s the way they call them). Well this are my observations on the product. The uCertifiy PrepKit is small application that you have to download to your computer. Once there is provides a personalized browser to an information portal. You have to provide your email and license to be able to access your PrepKit. Once you do you will be presented with a page showing your current progress. And the PrepKit is great for that. It provides a set of tests you can apply to yourself to verify your knowledge. All test in the prepkit provide some level of customization. So you can decide to take a quick 20 minute test of a longer 45 minute test. Test mode is nice because sometimes you can feel very confident about a subject but during the test you miss some questions, so the test mode will leave you see which were the right answers. I think is nice to start with the Diagnostic Test and then review a little about the subject. The prepkit provides study material. Just go to Notes\Study Notes and you will have access with several pages with information about the certification. This is very nice, because usually I have to look for a good page that provides information that I can use for a test. Certification test questions are very tricky they will ask about attribute combinations and configurations that you might not use very much so this notes can be a great help. 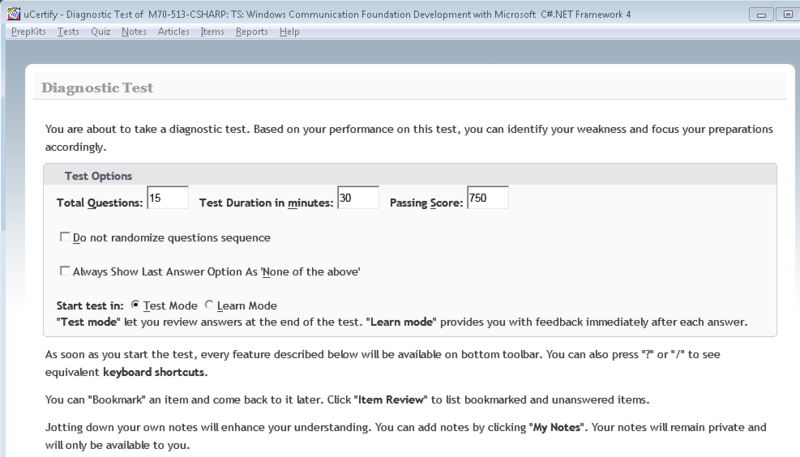 There are 4 predefined tests A, B, C and D and you can create your own test. The best feature for me, is the ability to track your current progress. Using the tests differs from buying a book or just using a web site, because they are more interactive. You can write down your notes, you can make links to your info, and easily review your errors. I had never used one of this PrepKits before, but they are a great experience. They are not cheap but I think they worth their price. Some years before I would have thought that I could just take my time and look for my own material on the web for my certifications, but now I’m a very busy professional, father and dog owner, so time is important for me, and keeping ahead in my career too. Thinks I would improve: better navigation, and little overhaul of the interface. 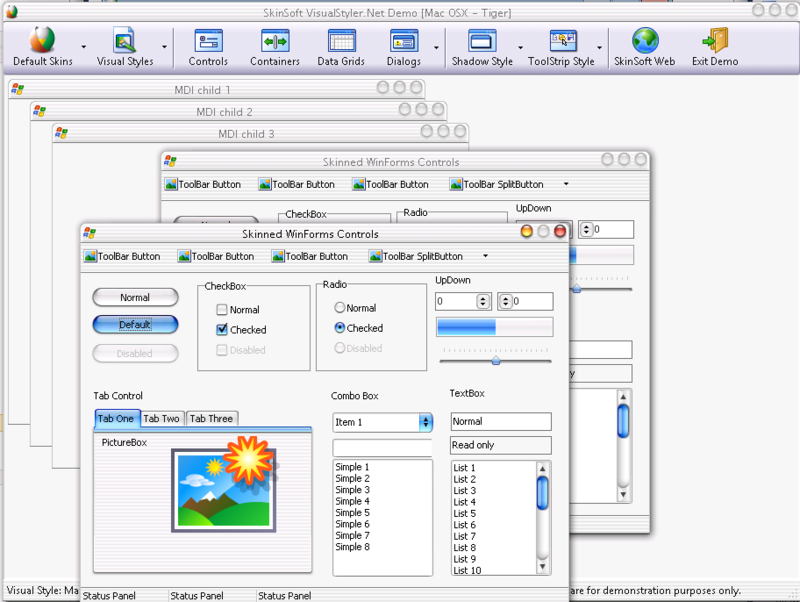 Windows forms is still a great technology, but by default is not as flexible as XAML or HTML where you can very easily modify the style of your controls. But that is not entirely true. 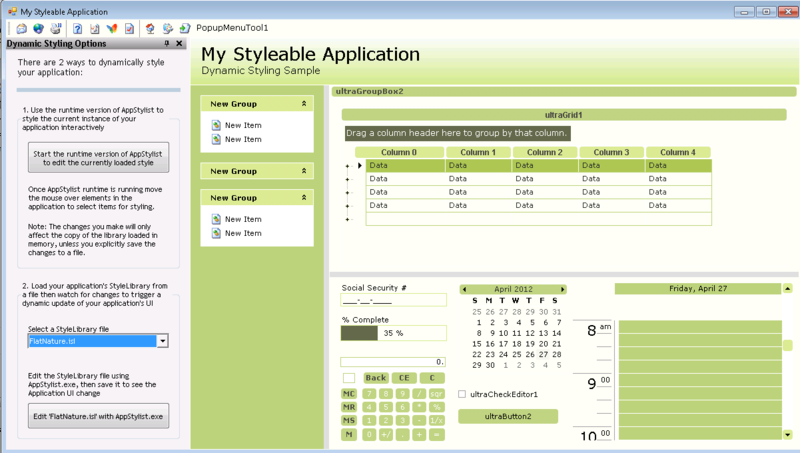 Let's review which options do we have for customizing the look and feel of Windows Forms Applications. Well the idea is simple. Centralize all the settings for your components and make sure to invoke that logic just after the initializeComponent() method call on the Windows Form constructor. This approach is simple, but could require a lot of work if you have a lot of components, and switching to another look and feel will require a lot of changes, and it does not allow you to customize all of the form. Customization of non client are (title bar, borders, requires a little more work). You can take a look at Szymon Kobalczyk work in codeplex. There is a lot of information about a setting custom borders for your forms and even a start of a form styling library. 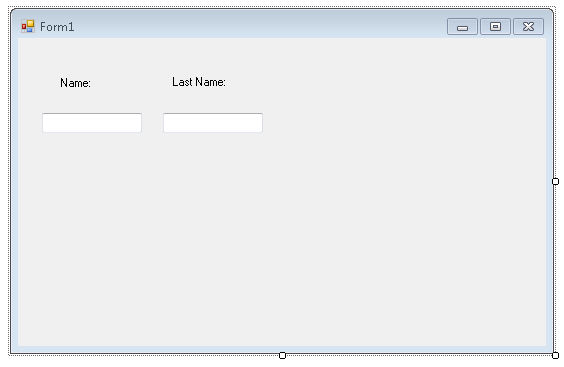 This is an interesting solution, because it allows you to style your Standard Windows Form controls, with very little changes. You just add a control on you main form and that all. They provide some custom styles and you can built your own. They support styling of ThirdParty Controls but I am not sure how that will work. So it can be a lot of changes. The end result can be stunning, because all of these companies have very very good components, but it is a lot of changes and can affect your application. Maybe you faced the situation where you had code that was to be used on your server side services and also on your silverlight clients. Having this situation required some tricks because Silverlight Class libraries could not be used on .NET projects and viceversa. Common workarounds were to share files and use precompilation directive iack!! 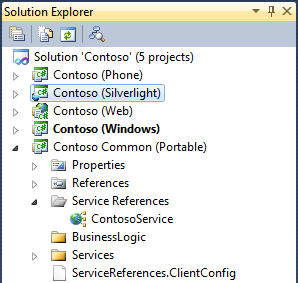 Well VS 2011 has a concept called Portable Class Libraries which allow you to create class libraries that can be use in Windows Phone, Silverlight, .NET framework, etc. I was playing around with XAMPP trying out the OrangeHR open source application. I installed XAMPP on a machine with an IIS 7 pointing to HTTP port 80. So when I tried to start apache, I encounter a conflict. Modifying the Apache included with XAMPP to use another port is very easy. Go to the installation directory. Save the file. And restart apache and TA DA!!! There are many types of ToolStrip<Control> classes. But how can you create your own customized version. Let’s say you want a control that prefixes a label before your combo box? I faced this problem recently. I tried and tried but I got different error messages for uninstall Silverlight 4 SDK and I needed to upgrade to Silverlight 5. So after a lot of tears and suffering I came across the Microsoft Fix it. I runned this program and indicated that I wanted to uninstall Microsoft Silverlight 4 SDK and it was like magic! It checked the registry, and fixed it, and then uninstalled the MS Silvelight 4 SDK.